CHICAGO (WGN) -- Police say they are looking for a man who followed and scared a 14-year-old girl as she walked home last night. 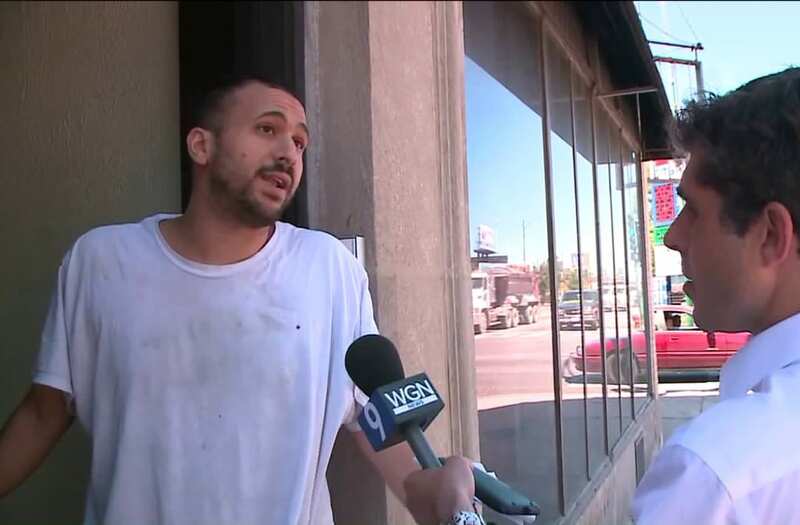 WGN News was able to locate the man who says it is a misunderstanding. WGN also informed police about the man's location. A Chicago TV reporter found a man that police are looking for and confronted him about the accusation that he tried to lure a teen. She told police a man 25 to 30 years old was following her and asking her questions. She called her family who called police but no arrests were made. WGN News rang the bell at his apartment. The man on the other end of speaker said he didn't know what we were talking about. Moments later, the man walked down from his second-floor apartment in the same clothes the man in the video was wearing. "That's not me," he told WGN News initially. Then he said, "I was just talking to her." "I just tried to talk to her and she didn't want to talk back so I left her alone," he said. So far, police have not been seen at the man's apartment. Nor have the detectives call back for any additional information.